is there any law banning elderly (in their 80s) doing manual jobs such as dish washing? 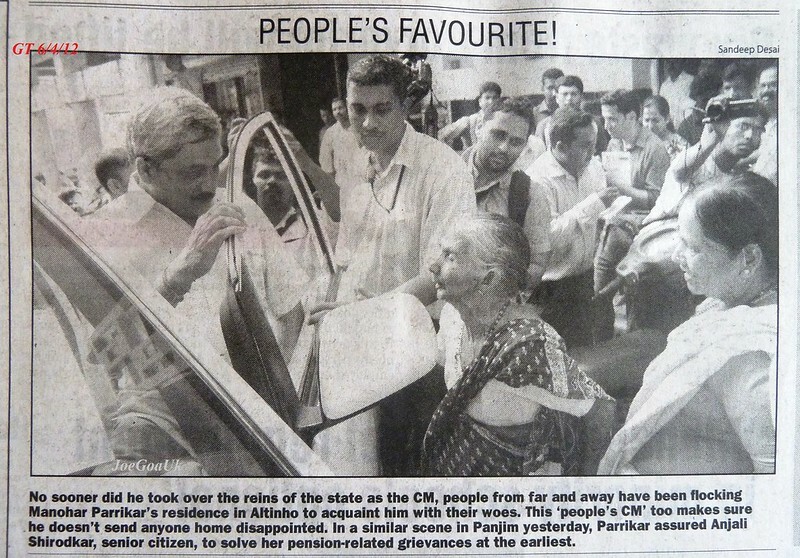 If not, please Mr. Parrikar do something in this matter too, for your are the ‘hope’ of the people of all walks of life. 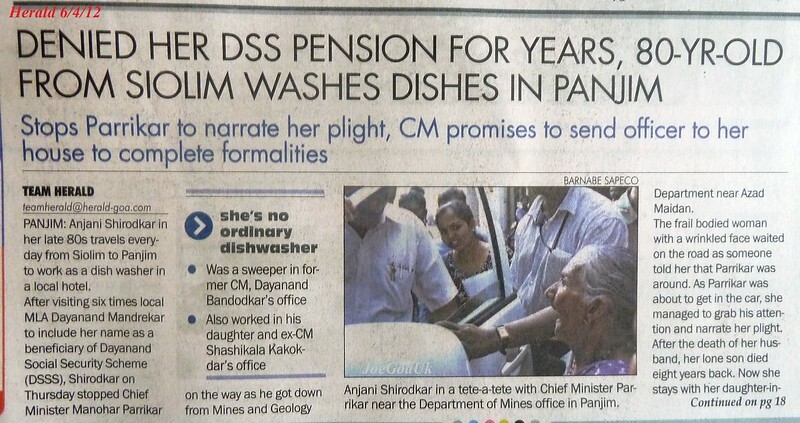 Why she is still working as a dishwasher in the City? Who is her employer? Why DSS pension of Rs.1000pm (now Rs.2000) denied to her? 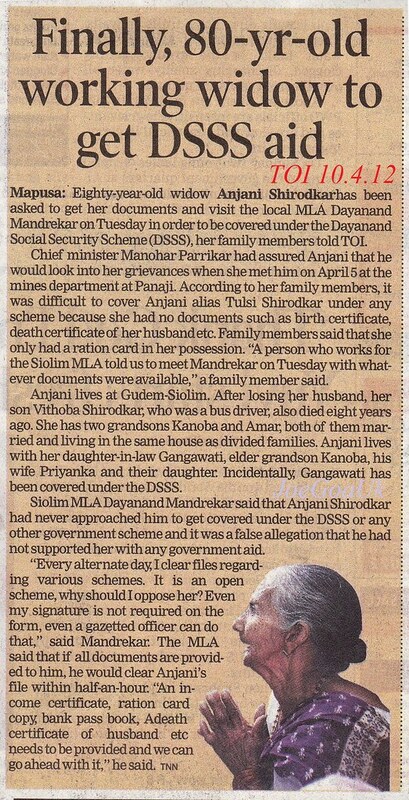 Why her local BJP MLA or the Sarpanch (Siolim Dando) did not do anything about it despite she visiting them several times in this matter? 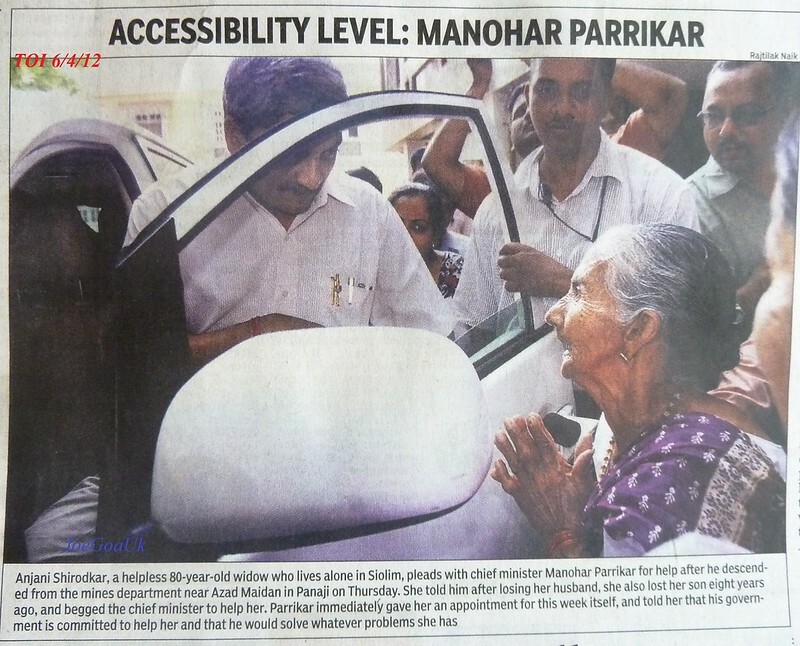 It’s really disgusting to know that the society, family, politicians etc made her to work for her living even at this very old wrinkled age. Just look at her and her face! Or is there anything else that we are not aware of? Travelling from Dando Siolim to Panjim every day to work as dish washer. No DSS pension granted despite visiting local BJP MLA and Sarpanch several times. Anjali also worked in the offices of former Chief Ministers Dayanand Bandodkar and Shashikala Kakodkar as aweeper. Living with her daughter in law and grand son?